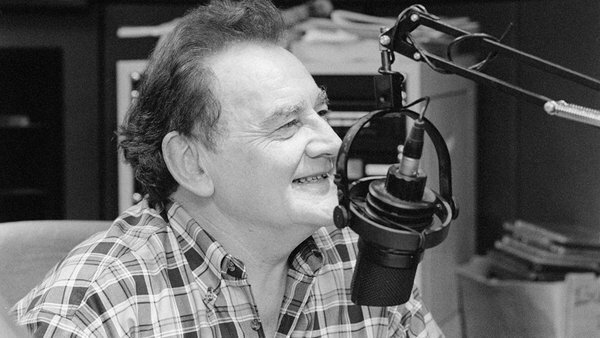 Radio legend Larry Gogan was the subject of a deeply moving film on RTÉ One's Claire Byrne Live on Monday night, in which he reflected on life, love and loss. "He's a legend - we know that," said Claire Byrne introducing the film, "lauded by everyone from Rod Stewart to Jon Bon Jovi. "But, if you think you know everything about him, I'd like you to think again, because Larry let the Claire Byrne Live cameras into his home for this very special film." When asked about his attitude to happiness and success, Larry says, "My take on life is I'm a happy-go-lucky kind of a person; I'm very lucky to be like that. I don't feel antagonism towards anybody and I seem to get on very well with people. "So I'm quite happy as I am. I've always been the same, I think, and I don't put on anything because I think people can see through you. So I think I'm just... I am as I am." And that is more than enough, as you'll see when you click on the viewing link above. After signing off from RTÉ 2FM last week, Larry has "moved next door" to RTÉ Gold.